I am a Reiki Master & Practitioner with many years experience of giving & teaching Reiki, you’ve been guided here for a reason, know you are in safe hands. 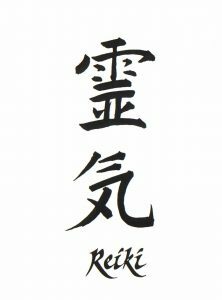 Usui Shiki Ryoho Reiki is an ancient Japanese complementary energy healing system, which dates back to the 1800’s when it was shown to Mikao Usui whilst he was on a retreat, hence this form of Reiki which is the traditional style is named after him. There are various styles available but this is the original, traditional style. Reiki is a Japanese technique ideal for stress reduction, relaxation & the promotion of healing and in recent years has been embraced by the NHS in the UK with cancer patients even be sent for Reiki treatments. All cultures including ours believes that the body has a life force, if you are familiar with yoga or T’ai Chi and other similar practices you will have heard terms such as ‘prana’ ‘chi’ ‘holy spirit’ ‘qi’ etc. If our life force or energy is low then we are prone to illness, disease & stress, when it is high or we feel energised we are less likely to be ill and more likely to feel happy & healthy. 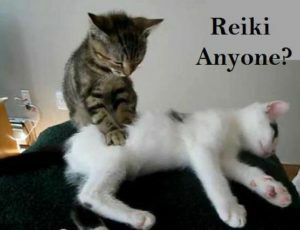 Whether you just need an energy boost, wish to feel relaxed or need help to heal an illness or disease Reiki is perfect. Reiki is non-invasive and can be used by anyone from a baby to the elderly, animals, situations and events past, present or future, it will heal mind, body & spirit removing emotional blocks that are causing dis-ease. No matter the reason for wanting to try Reiki, it is a beautiful, uplifting treatment that we can all benefit from. Imagine a powerful, uplifting, yet relaxing energy surge going through you, this is Reiki. By having a session of Reiki, you are treating your whole self; body, emotions, mind and spirit creating many beneficial effects that include relaxation and feelings of peace, security and well-being. Many have reported miraculous results. Reiki can help with so many issues contact me to find out if I can help you and to book a session. Sessions are usually around 30-45 minutes and sessions are performed fully clothed although I do recommend loose, comfortable clothing to ensure you relax as much as possible. You may be awake throughout the session or you may prefer to close your eyes and switch off so you get the most from a session. I usually use a therapy bed but if you have an issue that prevents this I can offer healing in a chair or wheelchair but please tell me in advance if this is the case. After a session you may experience more vivid dreams, feel more energised, relaxed & have a sense of well-being. Reiki continues to work after a treatment so expect sensations during the session to continue afterwards but it will stop. Everyone has a different experience as everyone has different needs, however everyone enjoys the experience and the benefits of a treatment. There is no prescribed amount of sessions required but as with most complementary treatments one session will make a difference but to get the most out of it a series of sessions should be booked. If you can have them regularly such as every other week or every month you will really see the benefits. Book a session now and start transforming your life! Sessions are £30 each and can be booked and paid for in advance or you can pay on the day. To book, call me on 01227 749759 or use the Contact Me facility to email me. If you would like to know more about Reiki or are interested in becoming a practitioner have a look at my Reiki training program. If you cannot get to me in Herne Bay, you can always book a session of Distance or Absent Healing. This means that when I meditate, I send healing to you or the person you are asking on behalf of every day for a week, you do not need to be aware of when this happens as the healing will go where it needs to and do what it needs to. If you are buying on behalf of another person please be aware that I need their permission to send healing which I can obtain from their ‘Higher Self’ if the person is not meant to have the healing it will dissipate into the universe.